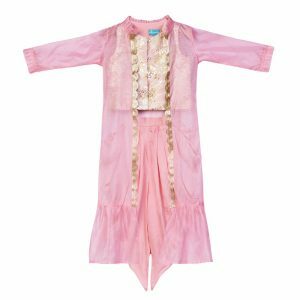 Curious Village offers a perfect collection for the little girls to stay in contact with the Girls Traditional Dresses design trends and the Indian culture. We bring you the stunning and high-quality collection of the cute girls’ traditional wear for all occasions. We all know that the Indian outfits carry with it a certain legacy. India is the place of different culture and traditions. That is why it is extensively famous for its own and unique ways of stylish and ethnic clothes. 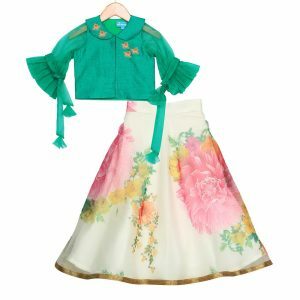 You will find best designer wears for your little princesses like kurta dhoti, kurti sets, lehenga, and sharara designed using high-quality fabric jacquard, cotton satin, Kota fabric, tie & die, georgette, crape, Chanderi Tie and Die, etc. In this collection, we have beautifully designed the jacket & dhoti set, Dhoti and lungi set, Punjabi suit, kurti with salwar, dhoti with phulkari, etc. with beautiful embroidery work or Gota work with traditional touch. 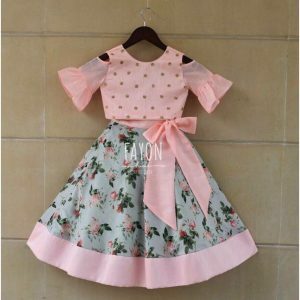 You will get an awesome variety of dresses for your little princess in vibrant and eye-catching shades of orange, pink, white, yellow, red and so on.